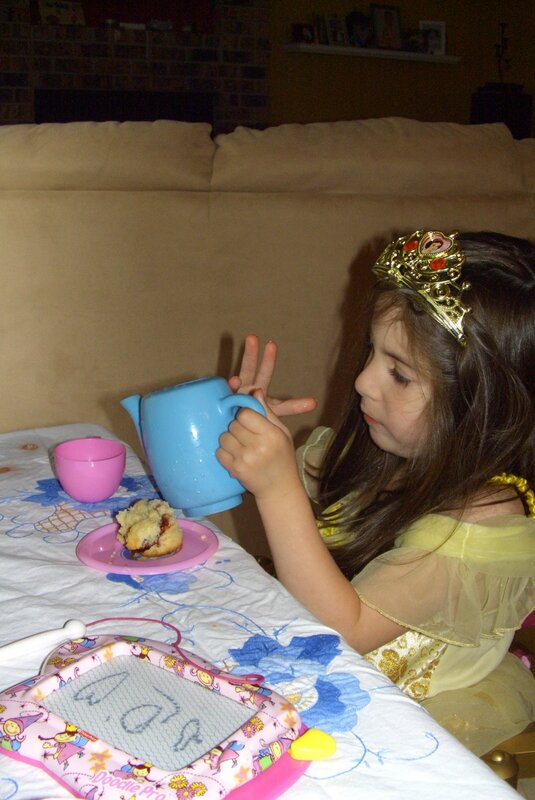 princess tea party | eat. play. sleep. Yesterday was a day to recover from our long and crazy weekend, so the girls and I stayed home and relaxed. 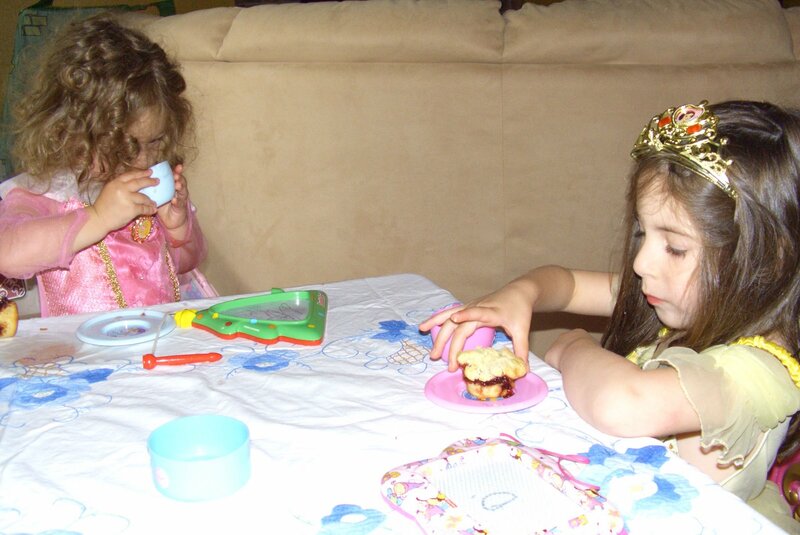 Ava decided that baking would be fun, and Emily kept bringing me the tea set, so I decided to bake some tea cakes with the girls and then have a fancy tea party. We made Strawberry Filled Tea Cakes and had pink tea (leftover watermelon lemonade from our 4th of July party). A fancy table cloth and tiaras for everyone (I wore the one from my wedding)! Preheat oven to 350 degrees. Brush standard cupcake tin with butter, dust with flour, tap out excess. Whisk flour, baking powder, and salt. Cream butter, sugar and zest until pale and fluffy. Add egg yolks, one at a time, scraping down sides of bowl if necessary. Add flour mixture in 3 batches, alternating with milk until everything is incorporated. In another bowl with an electric mixer on medium speed, whisk egg whites into soft peaks. Fold gently into batter. Spoon 2 tablespoons batter into each prepared cup. Make an indentation in the middle of each, fill with one tablespoon jam. Top with 2 additional tablespoons batter, covering jam completely. Bake 30 minutes, rotating pans halfway through. Remove from oven, turn cakes out onto cooling rack, and cool completely. Ayelet’s notes: Martha suggests a citrus glaze over these, but I thought that they were sweet enough without. In fact, I only used half the amount of sugar and they turned out pretty sweet. I also used lemon zest because that’s what I had and they were super yummy. 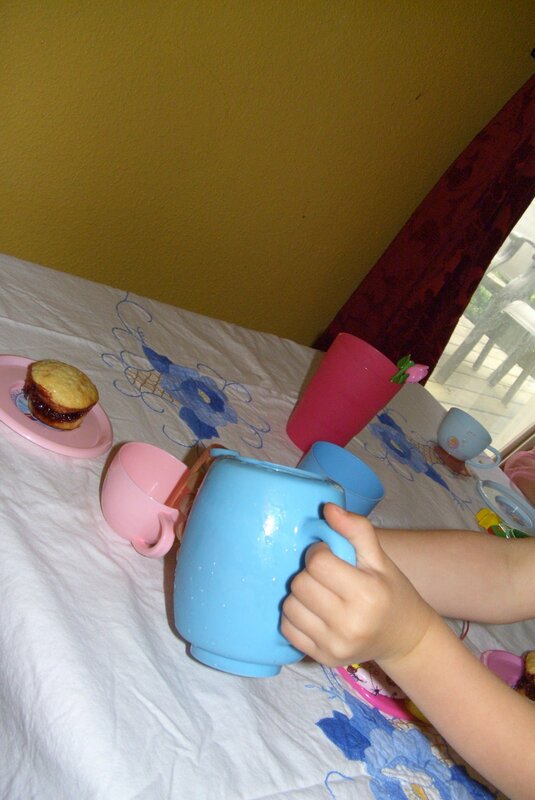 I definitely suggest making these (with or without little helpers) for your next tea party! Ava basically made these herself (the only thing I did was separate the eggs and put the tins into the oven) so they were pretty easy.